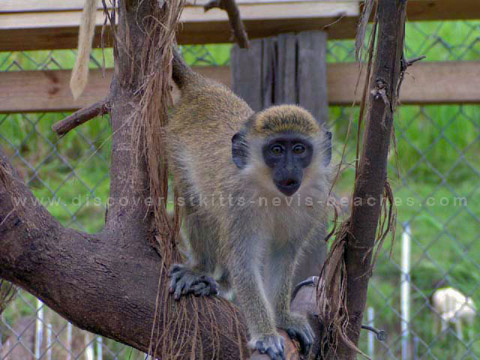 Interested in exciting St Kitts tours and island safaris? Allow me to introduce you to St Kitts Nevis Captain Sunshine Tours and Massages (Captain Sunshine Tours for short), a well respected and highly regarded tour and services company that has been providing a variety of St Kitts shore excursions for over 10 years and amazing Caribbean beach massages since December 2008. 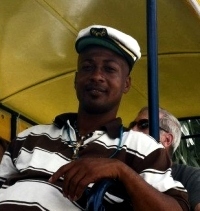 Captain Sunshine Tours and Massages is owned and operated by two brothers Kenny and Devin Richardson, who hail from the historic town of Old Road in St. Kitts. 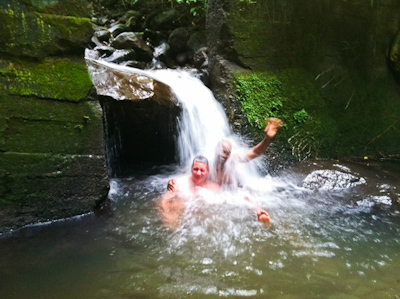 Between them, the brothers have in excess of 15 years experience as St Kitts tour operators. Owing to their warm, engaging and friendly attitudes, they have been dubbed the "Sunshine Brothers". Kenny, the founder of the business is known as "Captain Sunshine" or "Smiling Kenny". One of Kenny's well kept secret's is his gifted healing hands, which he uses to deliver a variety of amazing holistic body massages on the beach or at a location of your choice. Further down on this page, I will share some information with you about the St Kitts massage services offered by Captain Sunshine Tours and Massages. Kenny and Devin grew up in Old Road next to the lust tropical rainforest and the ruins of the oldest sugar factory in the Caribbean. 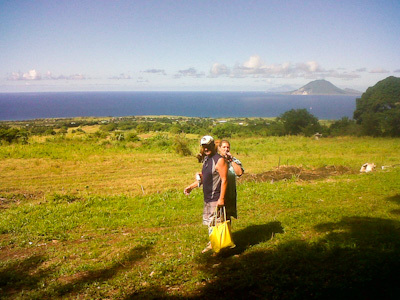 Having grown up in such close proximity to the rainforest and a historic sugar estate, it's no wonder that Kenny and Devin developed a real love, passion and appreciation for the flora, fauna, history and culture of St Kitts, which they eagerly share with clients who take their St Kitts tours and island safaris. 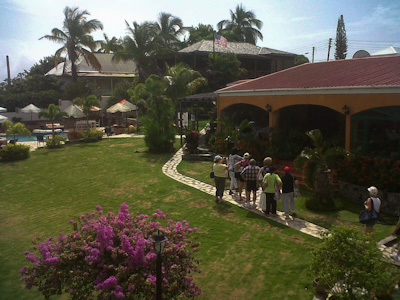 Whether it's a St Kitts volcano hike, St Kitts rainforest tour, the St Kitts Sunshine 360 Tour or one of their other customized St Kitts tours and island safaris that combine history, culture and adventure with some time at one of the popular St Kitts beaches, I have no doubt that you will thoroughly enjoy your time spent touring St Kitts with Captain Sunshine Tours. But don't just take my word for it, check out the reviews of Captain Sunshine Tours and Massages from persons who have taken St Kitts tours and island safaris with them or experienced one of their St Kitts massages, be it on the beach or otherwise. 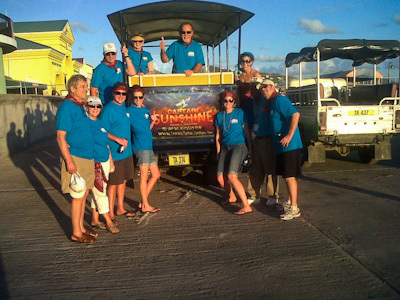 Captain Sunshine Tours offers a variety of St Kitts tours and island safaris that cater to the diverse mix of visitors who visit St. Kitts. Whether you are a lover of nature, an active adventure seeker, a beach lover who enjoys relaxing by the seashore or a culture and history enthusiast, Captain Sunshine Tours has a St Kitts tour and island safari that will meet your needs. 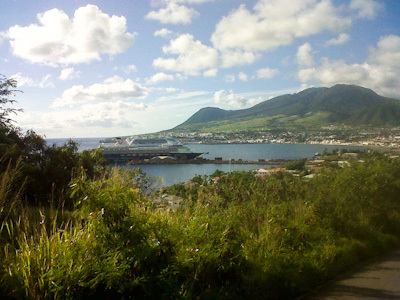 The following are some of the St Kitts cruise excursions and fun things to do on St Kitts that are offered by Captain Sunshine tours: St Kitts Sunshine 360 Tour; Best of St Kitts Brimstone Hill & South Friars / Cockleshell Beach; St Kitts Panoramic Tour & Beach Escapade; St Kitts Rainforest Tour, Romney Manor and Beach Escapade; St Kitts Volcano Hike; St Kitts Sugar City Tour And Beach Express; and St Kitts Sunset Tour. Prices for these St Kitts tours and island safaris range from US$25 to US$90 per person, however discounted rates are available for groups of 10 or more persons. 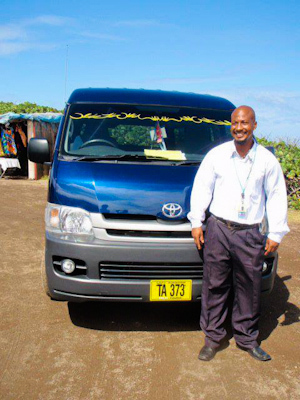 Transportation for Captain Sunshine Tours is provided in either their air conditioned St Kitts taxi van which accommodates 15 persons or their open air safari jeep that accommodates 18 persons. Larger groups can be accommodated upon request. In what follows, I will provide a brief description of the popular St Kitts tours and island safaris offered by Captain Sunshine Tours. The St Kitts Sunshine 360 Tour is by far the most popular of all the St Kitts tours and island safaris offered by the Sunshine Brothers. This amazing St Kitts island safari will allow you to sample St Kitts from a natural, cultural, historical and heritage perspective, while still affording you the opportunity of some fun and relaxing time at a popular St Kitts beach. The excursion begins with a tour of historic Basseterre, the capital city of St Kitts, where your guide will point out a number of key heritage sites and historic buildings that define the character of the city. After leaving Basseterre, the tour travels west along the island's main road to Bloody Point, the site of St Kitts' bloodiest massacre. 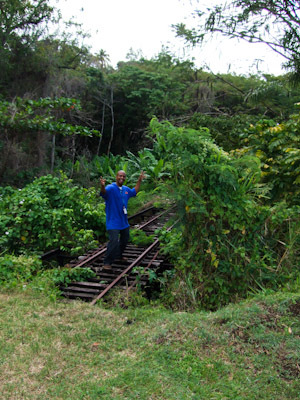 At the next stop, you will have to opportunity to briefly explore the flora and fauna of St Kitts as you take a brief walk through the rainforest at Wingfield in Old Road. 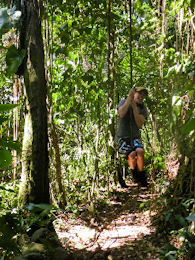 For the more adventurous, swinging on the sturdy vines of trees in the rainforest is considered a must try St Kitts rainforest experience. A visit to Romney Manor is the next stop on this excursion. Romney Manor is home to 12 acres of immaculately maintained botanical gardens and the local batik making facility Caribelle Batik, where you will be able to view a demonstration of the process of transforming sea island cotton into beautiful and colourful clothing for the entire family as well as wall hangings depicting Kittitian scenes. As the St Kitts tour and island safari continues, you will pass a key St Kitts heritage site the St Thomas' Anglican Church, the first Anglican Church that was built in the Eastern Caribbean, before visiting the Brimstone Hill Fortress National Park - A UNESCO World Heritage site. The Fort George Citadel at Brimstone Hill is one of the first examples of polygonal construction allowing defence from every possible side, and is the best example of preserved fortresses in the region. Stops at the scenic Gibbons Hill lookout to catch a glimpse of the wave fury created where the Atlantic Ocean meets the Caribbean Sea and at Black Rocks, the site where volcanic rocks from the last eruption of Mt. Liamuiga are deposited are also included on the tour. Complimentary refreshments are served at the Black Rocks stop on the tour. 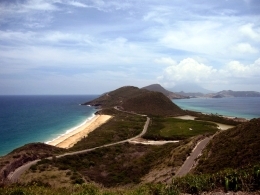 The St Kitts Sunshine 360 Tour continues with a drive along the scenic Atlantic coast of the island, before journeying on through Frigate Bay to the lookout spot at Timothy Hill. Rounding out this amazing St Kitts tour and island safari is a beach stop at either South Friar's Bay or Cockleshell Bay on St Kitts' Southeast Peninsula, where you can engage in a variety of water sports or other beachfront activities or be rejuvenated by a holistic St Kitts massage from one of the Sunshine Brothers. You also have the option to skip the beach time and return to your hotel or ship. Book your St Kitts tours and island safaris now! 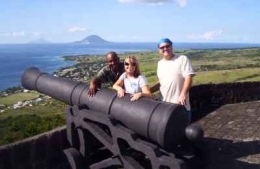 The St Kitts Panoramic Tour & Beach Escapade is another of Captain Sunshine Tours popular St Kitts tours and island safaris. Following pick up from your on island accommodation or the cruise ship docking facility at Port Zante, you will be taken on a drive through historic Basseterre, the capital city of St. Kitts. Some of the St Kitts heritage sites and historic buildings you will pass include the Old Treasury Building now called the National Museum Building, Independence Square, Immaculate Conception Co-Cathedral and the St Georges Anglican Church. After leaving Basseterre, the tour proceeds westwards to the historic town of Old Road via the island's main road that offers spectacular views of the Caribbean coast. In Old Road, you will visit Romney Manor which is home to a Caribelle Batik, local batik making studio and some 12 acres of botanical gardens. The next stop on this amazing St Kitts tour and island safari is at the St Thomas Anglican Church, the first Anglican Church in the West Indies located in the village of Middle Island. The tombs of Sir Thomas Warner, first English Governor of St. Kitts and Samuel Jefferson, ancestor to the third president of the United States of America, Thomas Jefferson are located in the churchyard at this historic Anglican Church. The tour then journeys to the Timothy Hill lookout point for captivating panoramic views of the Frigate Bay resort area and the Southeast Peninsula. To round out the tour you will be taken back to your pick up point (e.g. the cruise ship) if you so desire or to either South Friar's Bay or Cockleshell Bay. 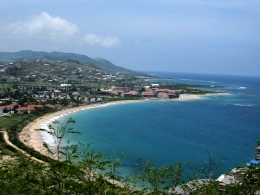 Both of these St Kitts beaches offer a variety of fun activities, beach bars and restaurants. The Brimstone Hill and South Friar's / Cockleshell Beach tour is another of Captain Sunshine's interesting St Kitts tours and island safaris. It begins with a tour of the historic capital of Basseterre St Kitts, which boasts a number of heritage sites as well as historic buildings which are said to be some of the finest examples of Georgian architecture in the Caribbean. The excursion continues along the island's Caribbean coast passing through quaint villages to Bloody Point and Bloody River, the site of the massacre that literally exterminated the Kalinago (Carib Indians) from St Kitts. From there the tour moves on to the historic town of Old Road, the first British town in the entire Caribbean where you will see the Carib petroglyphs (rock drawings) and visit Wingfield Estate and Romney Manor which is home to Caribelle Batik. The next stop on the tour is the St Thomas' Anglican Church at Middle Island, thought to be the first Anglican Church built in the West Indies. The church yard is the burial site of Sir Thomas Warner, founder of the first English settlement and first English Governor of St. Kitts and his friend Samuel Jefferson, ancestor to the third President of the United States of America, Thomas Jefferson. The highlight of the tour is the visit to the Brimstone Hill Fortress National Park which is also known as the "Gibraltar of the West Indies", a UNESCO World Heritage Site which majestically sits on top of a hill some 750 feet above sea level. 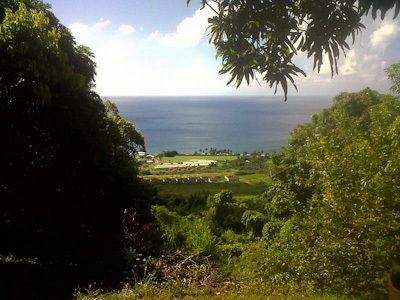 Following this the tour returns to Basseterre, before proceeding to the lookout point at Timothy Hill for some breathtaking panoramic views of Frigate Bay and the Southeast Peninsula. The tour concludes with some relaxation time at South Friar's Beach or Cockleshell Beach. Alternatively, you have the option to be taken back to your pick up point (e.g. the cruise ship) if that is your desire. Captain Sunshine's St Kitts rainforest tour begins with a scenic drive along St Kitts' Caribbean coast to the historic town of Old Road. Along the way you will pass through quaint villages, and pass by St Kitts heritage sites including Bloody Point and the Carib petroglyphs (rock drawings) at Wingfield Road. The first stop on this St Kitts shore excursion will be at Romney Manor where you will be able to briefly explore the well kept botanical gardens and view a batik making demonstration at Caribelle Batik. 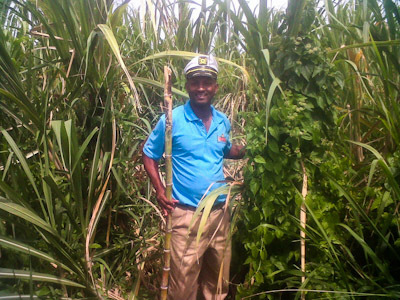 Then your Captain Sunshine tour guide will lead you on a guided hike through the lush and tranquil St Kitts rainforest to explore the flora and fauna of St Kitts. You will have the choice of hiking either a one mile or two and a half mile section of the Peter Manning Trail of the rainforest. The trail offers quite a few photo ops so be sure to bring your still and/or video cameras on the tour. Complimentary refreshments will be served at the end of the hike. 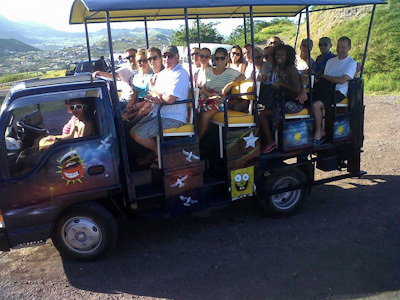 After being refreshed, you will board your tour vehicle to journey to a popular St Kitts beach (a choice between South Friar's Bay or Cockleshell Bay) for the cool down section of this St Kitts tour and island safari. Alternatively, you have the option to be taken back to your pick up point (e.g. the cruise ship or hotel) if that is your desire. 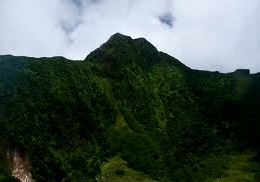 The St Kitts Volcano Hike up the 3,792 ft high Mt. 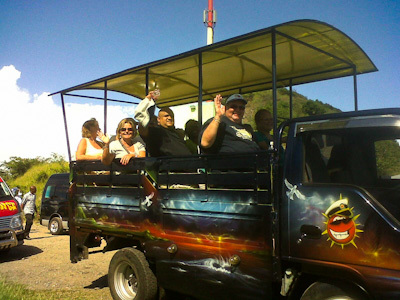 Liamuiga is another St Kitts tour and island safari offered by Captain Sunshine Tours. This St Kitts excursion begins with a drive through historic Basseterre, before proceeding on the approximately hour long scenic drive along the island's Caribbean coast to the village of St. Pauls. The tour then makes its way off-road through Belmont Estate to the starting base of the hike located some 1200 ft above sea level. 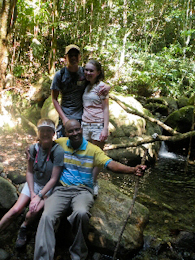 The first section of the hike is considered to be an average trek through the lush rainforest canopy. The hike later turns into careful navigation up, around and over huge tree roots and rocks along the trail up the side of the mountain to the rim of the crater situated 2800 ft above the sea. The reward of the breathtaking and spectacular panoramic views from the rim of Mt. 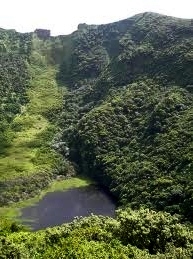 Liamuiga's crater of the villages along the coast and the neighbouring islands are however definitely worth the climb. Additionally, you will have the opportunity to feast on a delicious picnic lunch served at the rim of the mile wide and 1000 ft deep crater, before commencing the trek back down the side of the mountain. Upon return to the tour vehicle, the end of the challenging St Kitts volcano hike up Mt. Liamuiga is celebrated with complimentary refreshments. 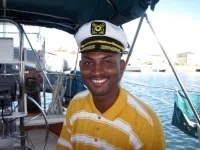 Earlier on this page I made brief mention that in addition to offering St Kitts tours and island safaris, Captain Sunshine Tours also offer St Kitts massages on the beach or at a location of your choice. The Sunshine Brothers provide a variety of holistic massages that will not only rejuvenate your body, but will most certainly refresh your spirit as well. The types of massages offered include Healing and Relaxing Massage; Swedish Massage; Deep Tissue Massage; Lomi, Lomi Ancient Massage; Detoxification through Chakra Balancing; Hands and Feet Reflexology; Reiki Healing Treatment; Kittitian Five (5) Star Caribbean Massage and Holistic Massage Therapy. The prices for Captain Sunshine Tours St Kitts massages range from about US$45 for 30 minutes of Holistic Healing Arts to US$170 for a couples massage (60 minutes each). Group packages are also available. When booking your St Kitts tours and island safaris you will have the opportunity to add a St Kitts massage to your tour package, so make sure you take advantage of the opportunity of having the Sunshine Brothers apply their healing hands to your body. Now that I've told you about the St Kitts tours and island safaris and massages offered by Captain Sunshine Tour and Massages, all that's left for me to do is to let you know how you can book one of their popular St Kitts tours and island safaris or amazing whole body massages. The options for booking an excursion or massage with the Sunshine Brothers include contacting them via telephone (869)762-4663 or (869)664-4611 or e-mailing them using the booking inquiry form below. The Sunshine Brothers look forward to having you join them for an amazing time of your life on one of their St Kitts tours and island safaris. Would you like to prebook a massage? Click on thumbnails to view enlarged photos.